Many people have told me that I have a face for radio. I know it's a par, but I'll accept it this time. 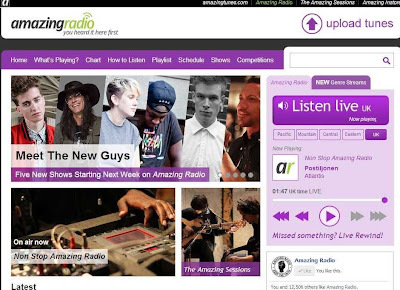 Every Thursday from 7pm - 9pm, you'll be able to catch me and Laura 'Hyperfrank' Brosnan on Amazing Radio via DAB in London and Dublin, and online! We'll be chatting breeze, as usual, and schooling listeners of the indie, rock, and pop radio station with the various sounds of the underground. It all kicks off on Thursday 5th September. Join us!